Background: Although several studies have investigated the association between ovarian cancer risk and nonisoflavone flavonoids intake, these findings are inconsistent. This systematic review of published epidemiological studies was conducted to summarize and clarify the evidence on the association between ovarian cancer incidence and nonisoflavone flavonoids intake. 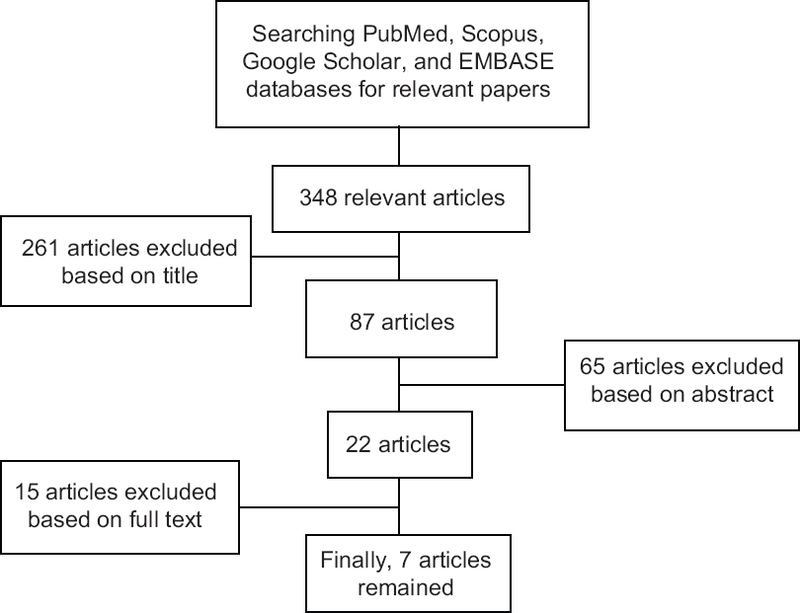 Materials and Methods: PubMed, Scopus, Google Scholar, and EMBASE databases were searched based on MeSH term (ovarian neoplasm in combination with flavonoids) to identify related English and non-English papers published up to June 2016. We summarized the results of the relevant studies in this review. Results: In total, seven studies (four with cohort and three with case–control design) included in this review. The results of conducted cohort studies show no relation between ovarian cancer risk and total nonisoflavone flavonoids intake, and only one study reported a significant reduction between ovarian cancer incidence and kaempferol and luteolin intake. Similar to those in the cohort studies, also in case–control studies, no association was found between total nonisoflavone flavonoids intake and ovarian cancer risk, just an inverse association between flavonols intake and ovarian cancer was reported. Conclusion: Several studies investigated the relation of nonisoflavone flavonoids intake and ovarian cancer risk; none of them reported any association for total nonisoflavone flavonoids intake, but some reported an inverse association between certain subclasses or individual flavonoids. These findings are limited, and there is a need for further and more accurate researches to be confirmed.